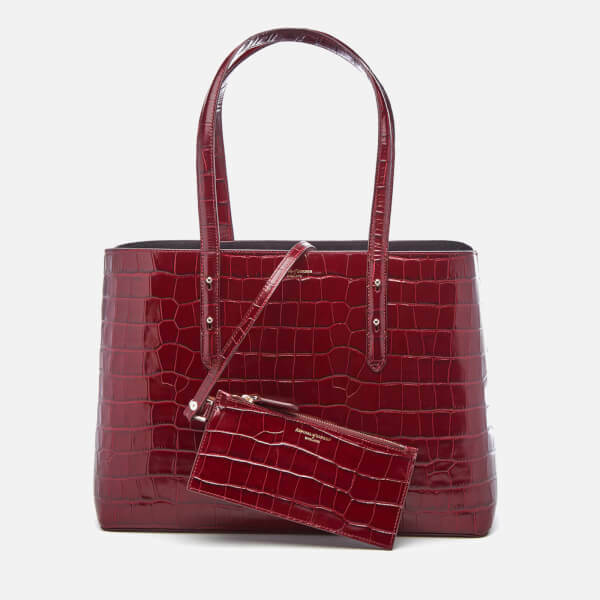 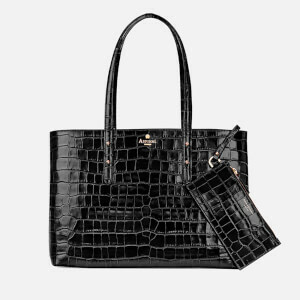 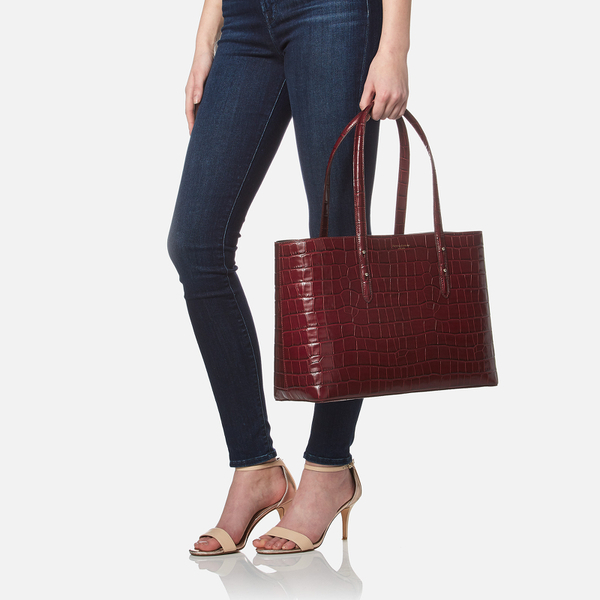 Women’s ‘Regent’ tote and accompanying pouch from Aspinal of London. 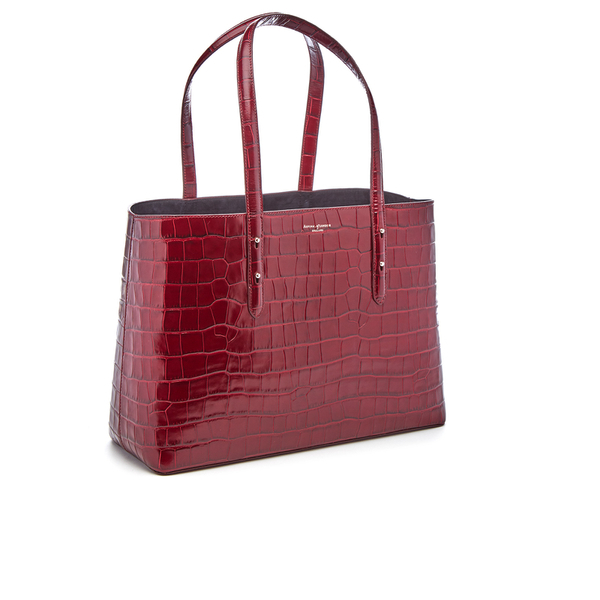 Crafted from premium leather in a crocodile texture, the semi-structured shopper comprises an open top design. 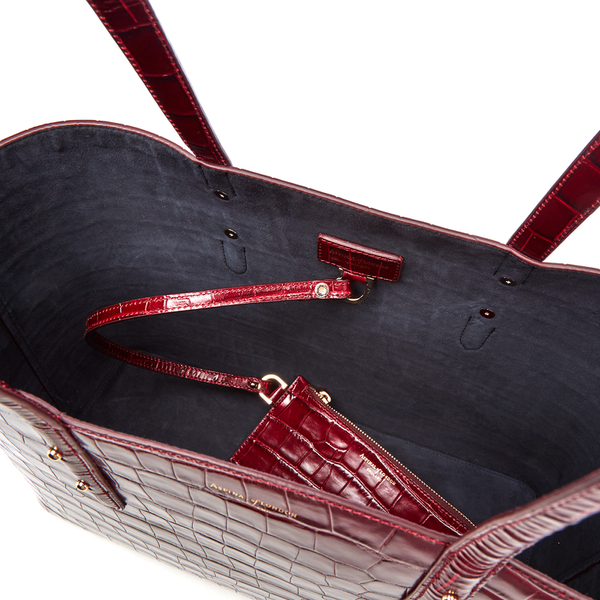 The bag opens to reveal a spacious main compartment with a suede-lined interior. 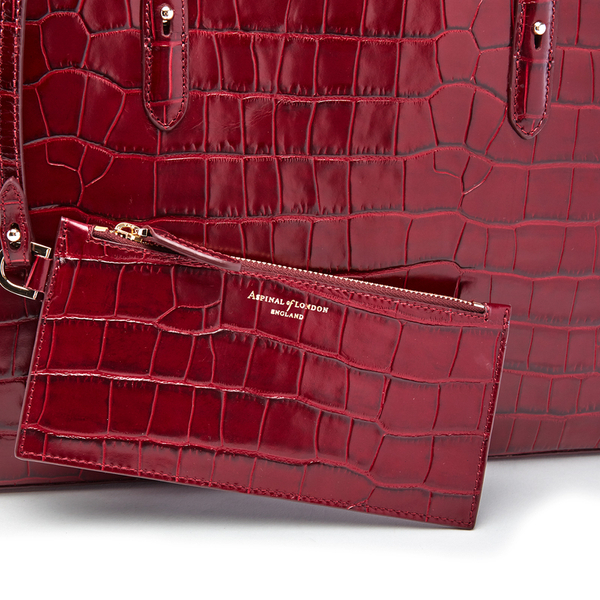 The tote arrives with a detachable zipped pouch, ideal for organising essentials. 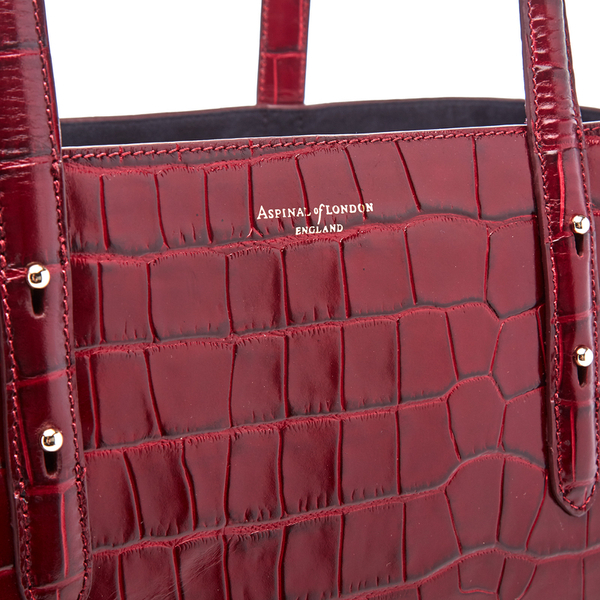 Transported via dual shoulder straps, the handbag is complete with equestrian stud detailing and Aspinal of London branding. 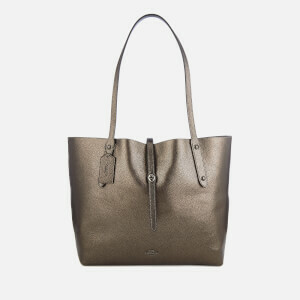 Outer: Italian Calf Leather. 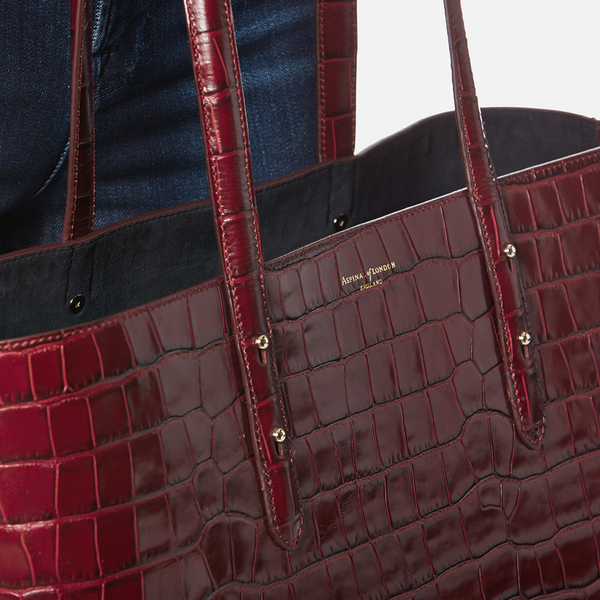 Lining: Suede. 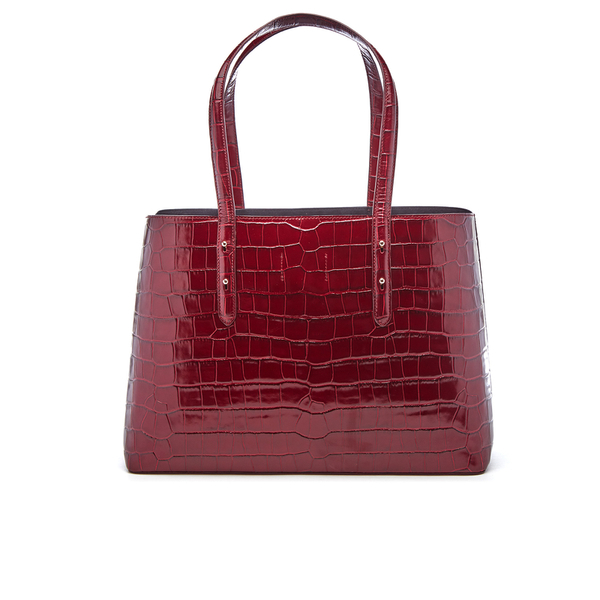 Dimensions: H: 28cm x W: 40.5cm x D: 15cm. 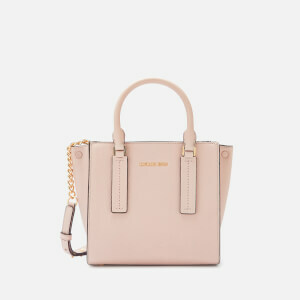 Strap Drop: 24cm.